I read this article and found it very interesting, thought it might be something for you. The article is called FAQ: Contesting a will, intestacy & inheritance tax and is located at https://www.rocketlawyer.co.uk/blog/faq-contesting-a-will-intestacy-inheritance-tax/. Following our blog last month on Estate Planning FAQs I’ve been looking at more questions our customers send us about wills and estates, including contesting a will, the intestacy rules and inheritance tax. What is contesting a will? When you contest a will you are challenging it because you believe it (or part of it) isn’t valid. This is a very case-specific, time-consuming and expensive process so Ask a lawyer if you are thinking of contesting a will. How do I go about contesting a will? You should Ask a lawyer if you suspect that a will is invalid for one of the above grounds. An application for a warning (called a ‘caveat’ using form PA8 and which costs £20), must be submitted to the Probate Registry (this is usually done by a solicitor). In these cases, it is important to act quickly before all the assets are distributed. If you don’t write a will, the rules of intestacy will apply to your assets. Only those family members who you are legally related to, or related to by blood, will inherit your assets in the order of entitlement set out by the law. What will happen to my estate if I have no surviving relatives and don’t write a will? If there are no surviving relatives, the whole estate will pass to the Crown as ownerless property (‘Bona Vacantia’). What is a Deed of Variation of Intestacy? A deed of variation can be used to change a will after death. It is particularly useful when someone dies intestate as the rules of intestacy can be unfair and not reflect what would have been the deceased’s wishes. It allows those who are entitled to the estate (or part of it) to redirect entitlements to another person. This can also be used when a will was left by the deceased. Inheritance tax (IHT) must be paid on your estate (money, property and possessions) if it is worth a certain amount. Various rules and thresholds apply which are dependent on individual circumstances. Who will pay IHT to HMRC? Your executor (if you leave a will) or administrator (if you don’t leave a will) will pay your IHT bill using your estate funds. Your beneficiaries won’t have to pay IHT on what they inherit, but people you give gifts to may have to pay IHT in certain circumstances. What are the Nil Rate (NRB) and Residence Nil Rate (RNRB) bands? 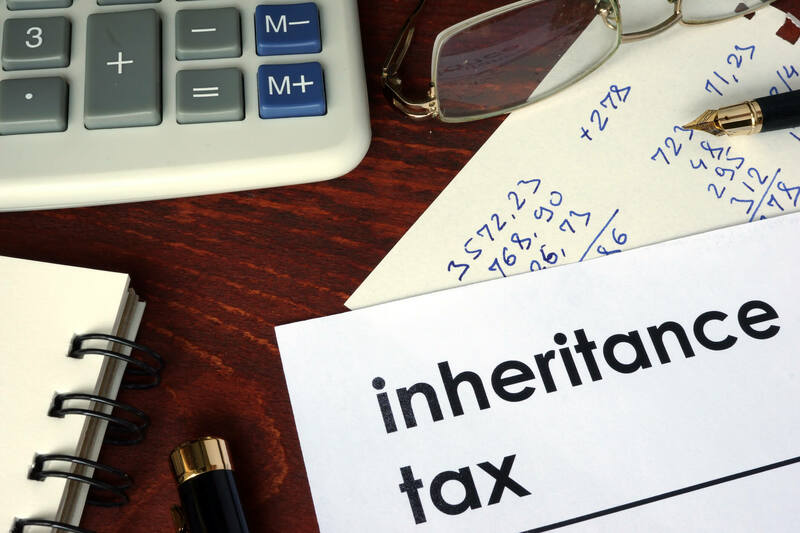 The NRB is the threshold for inheritance tax, which is currently £325,000, and means that you can pass on an estate worth up to this amount tax-free. Anything above will be taxable. If you leave your entire estate to your surviving spouse/civil partner, this will mean that it will be exempt from IHT. In turn, your unused NRB is transferable and can be used to increase the IHT threshold of your surviving spouse/civil partner – which means an estate of up to £650,000 will be tax free. The RNRB will come into effect on 6 April 2017 but only applies where an individual dies and leaves his/her home to his/her direct descendants (eg children and grandchildren).It will mean that, if certain requirements are satisfied, the amount exempt from IHT will increase by £100,000 (for the year 2017/18). For further information read Inheritance tax. Ask a lawyer if you have specific questions or concerns in relation to wills, the intestacy rules and inheritance tax. Camilla Johnson is the digital acquisition specialist for Rocket Lawyer UK. She has a law degree from Keele University, a post graduate diploma in professional legal practice and a diploma in digital marketing. Is it possible to mediate probate? Lasting Power of Attorney: What is it and do I need one? A guide to mirror wills – What are they and why are they important?